This is paid content produced for an advertiser by New York Brand Studio. The editorial staff of nymag.com did not play a role in its creation. 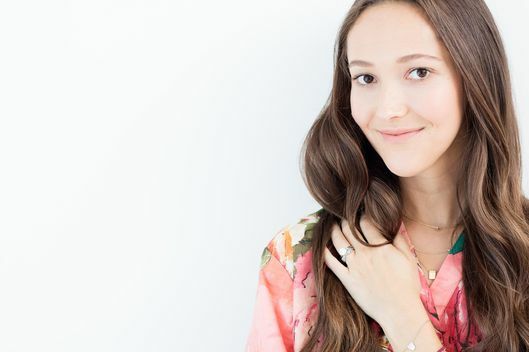 August 31, 2016 12:00 a.m.
Get inspired by philanthropist and The Brave Collection jewelry designer Jessica Hendricks Yee's mission and the 3 steps that ignite her day. It all started with a trip abroad. Jessica Hendricks (now Hendricks Yee), a then-NYU student, traveled to South East Asia to teach English. She was struck by the very real, very dire issue of human trafficking in Cambodia. “Meeting girls my age and younger who were set outside of bars and restaurants as items for sale is something I will never forget. Talking to teenagers in recovery shelters who had their childhoods taken from them was absolutely heartbreaking and completely infuriating,” says Hendricks Yee. Perhaps more disturbingly, the girls she encountered are just some of the estimated 30 million people in involuntary servitude worldwide. She swiftly took action. In 2012, Hendricks Yee developed a jewelry line, The Brave Collection, meeting with Cambodian artisans to build a skilled team of fair-trade crafters. The Cambodian culture-inspired designs incorporate the Khmer alphabet and Buddhist symbols. “By collaborating with artisans in Phnom Penh, we’re forging a tangible connection between women in the East and women in the West with each piece we make, sparking awareness, conversation, and ultimately change,” she explains. Not only do the colorful wares help the women making them — they’re provided above-average wages, health insurance, and education stipends for their children — but 10% of profits go directly to fight human trafficking. Currently, the donations go to Free to Shine, a Cambodia-based nonprofit. We spent a morning with Hendricks Yee to learn more about The Brave Collection, and chronicle the effective morning routine that contributes to her success. At 8 a.m., Hendricks Yee’s South Williamsburg apartment is filled with the sort of covetable sunlight realtors plan showings around. She shares the one-bedroom with her newly minted husband — the pair married in February. “My mornings set the tone for my whole day, so I have to push myself to make them count,” she says. She starts off with Transcendental Meditation, a technique developed by Indian guru Maharishi Mahesh Yogi (yes, of Beatles fame) in the 1950s. Among other defining practices, the meditator repeats a mantra, a typically one- or two-syllable word. With a clear mind, Hendricks Yee moves on in pursuit of clear, healthy skin. “Feeling fresh, alert, and beautiful from the inside out is so important. You need all of the confidence and courage you can get to put yourself out there as an entrepreneur,” says Hendricks Yee. Hendricks Yee turns to Clinique’s 3-Step Skin Care System each morning to balance her naturally dry skin. Her regimen starts with gentle liquid facial soap, followed by a clarifying lotion to strip oil and dead skin, and finishes with Dramatically Different moisturizing lotion. “The lotion spreads on so smoothly and leaves my skin bright and dewy,” she says as she applies. Matcha may be having a moment, but its roots are ancient: Chinese monks first embraced the green beverage back in 2500 B.C.E. Hendricks Yee finds matcha-making soothing, a savored process in her morning routine. Matcha lattes are her go-to. She starts by sifting matcha powder into a bowl with hot water. She whisks the powder into a paste, pouring it over ice and adding milk. Properly centered, with hydrated skin, and caffeine on her side, Hendricks Yee is good to go. 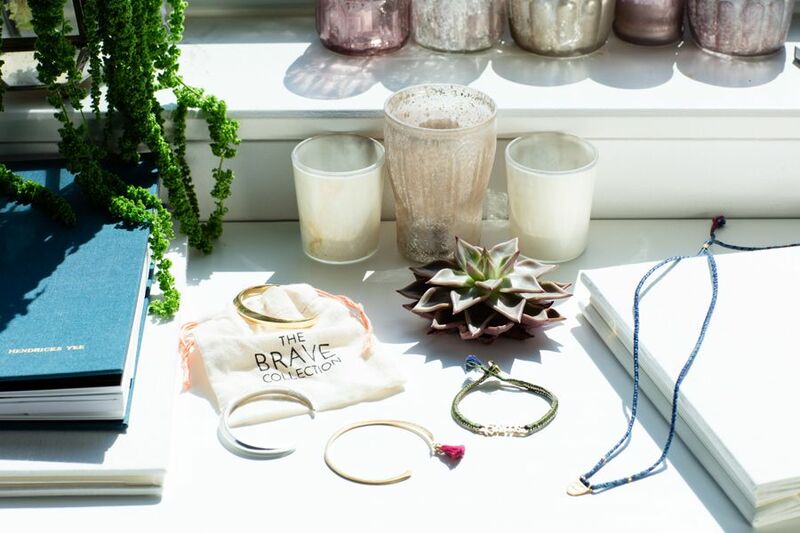 After heading to The Brave Collection’s Williamsburg studio to catch up on emails from her Cambodian artisan partners (they’re 11 hours ahead), she’ll run to appointments with buyers, and prep for an upcoming trade show.